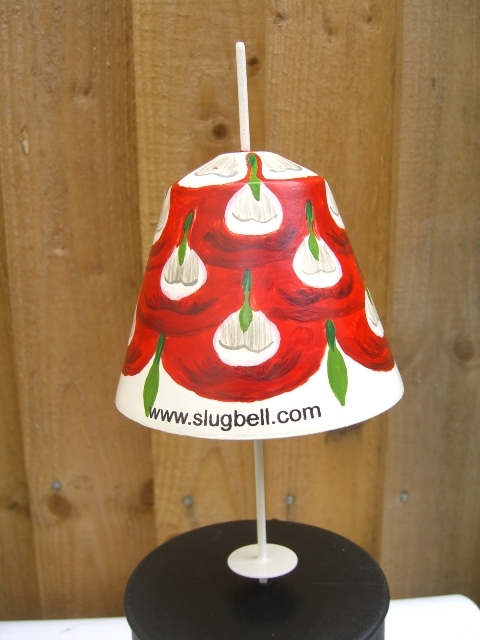 For a colourful approach to fending off slugs and snails take a look at the pretty Slug Bell. Apart from veg plots and borders it’s small enough to be used in pots. Each Bell is hand painted and made of rust proof powder-coated metal. A small mesh basket, for your choice of slug pellets, hangs inside the bell and just needs topping up on a regular basis. And, because the bell canopy is protecting the pellets, it means you can water at any time, without washing any away and they’ll remain protected from rain as well. This is a great idea for keeping pellets out of sight of inquisitive children, wildlife and pets. Designs include green flower and Tudor Rose.